Sometimes things get funny in Kazakhstan – state bodies hire foreign advisors with crazy salaries and they make subcontracts with locals. As a matter of fact – money is spent for an impressive presentation by foreigner. In this article we are going to try to evaluate Kazakstan’s think tanks. Private - owned directly by citizens. Discussion platforms are worth to be picked out in a separate class as their discussions also are intellectual products. All the descriptions are taken from official websites. The Kazakhstan Institute for Strategic Studies (KISR) under the President of the Republic of Kazakhstan was established by the decree of the President of the Republic of Kazakhstan on June 16, 1993. The main goal of KISR as a state research institute is to provide scientific and analytical support for the activities of the President of Kazakhstan, the country's state bodies. In 24 years an institute had published more than 250 books on international relations, problems of global and regional security. Three journals are published in KISR: "Kogham zhane Diuir" (in Kazakh), "Kazakhstan-Spectrum" (in Russian), "Cases of Central Asia" (in English). Website: http://kisi.kz. Director: Doctor of Sociological Sciences Zarema Shaukenova. Famous experts working in KISR: Sanat Kushkumbayev, Yuriy Buluktaev, Vyacheslav Dodonov, Georgiy Dubovtsev, Lesya Karataeva, Konstantin Syroezhkin, Irina Chernykh, Madina Nurgaliyeva, Alua Zholdybalina. The center specializes in issues of world politics, international security and foreign policy of Kazakhstan. Director: Head of the Chancellery of the President of the Republic of Kazakhstan, Director of the Library of the First President of RK Mahmud Kasymbekov. Famous experts working in the center: Timur Shaymergenov, Marian Abisheva. Russian-Kazakhstan expert IQ-Club works in the analytical center. The Institute was established in February 1999 on the basis of the Institute of Philosophy and Law which was established in 1958 and transformed in 1991 into the Institute of Philosophy. In May 2012 it was renamed by a government decree as the Institute of Philosophy, Political Science and Religious Studies. The main objective of the institute, as a state research institute, is to conduct philosophical, philosophical - methodological, political, religious and sociological research aimed at developing the intellectual and spiritual and moral potential of modern Kazakh society. Director: Serik Nurmuratov, Doctor of Philosophy. Website: http://iph.kz/. The Institute publishes two journals: "Adam alemi" (since 1999) and "El-Farabi - Al-Farabi" (since 2003). The Institute is one of the oldest analytical centers in Kazakhstan - it was founded in 1961. Main direction of the Institute's work is the scientific substantiation of the sustainable development strategy of the country, development of recommendations on the most actual issues of economic policy for the departmental ministry and the government of the country. Chairman of the Board of the Institute: Serzhan Madiyev. Website: http://economy.kz. The Institute was established in 2012 at the EurasianNationalUniversity. The objectives of the Institute are studying and expert evaluation of the socio-economic and political processes of modern development of Kazakhstan, countries of the Eurasian continent, the perspectives of development of civil society, legal system, socio-political communications and humanitarian and cultural sphere; creation of an interactive platform for Kazakh and foreign experts to discuss specific problems of the Eurasian integration project. Director: Gani Nygymetov. Famous experts working at the institute: Radik Temirgaliyev. Website: http://eurazis.kz (currently under reconstruction). The Center for Military and Strategic Studies was established in accordance with the Resolution of the Government of the Republic of Kazakhstan dated February 6, 2008 No. 110. Since July 15, 2008 the Center works as an independent research institute in the field of security and defense capability research. Recently center was transferred from the Ministry of Defense to the Ministry of Defense and Aerospace. Center publishes magazines "Sardar" and "Defense Herald." Website: http://cvsi.kz. President of the center: Talgat Turlybayev. National Analytical Center at the "Nazarbayev University"
JSC "NationalAnalyticalCenter" was established in September 2007 on the initiative of the Government and the National Bank of the Republic of Kazakhstan. In June 2011, the Center received the status of a subsidiary organization of the autonomous educational organization "NazarbayevUniversity". The Center is intended to serve as a provider of operational analytical information and quality advisory services on various aspects of state policy. The Center is the legal successor of the institution of public policy and the institutions of parliamentarism that existed before the party. The mission of the Center is analytical support of the parties' activities on long-term political leadership and implementation of the state course of the President of the Republic of Kazakhstan, Nazarbayev. The main tasks are to study socio-economic and political processes, to prepare positions on key issues and strategic directions for the development of the state and society, to take an active part in shaping public opinion in accordance with the tasks of the party. Director: Candidate of Sociological Sciences Julia Kuchinskaya. Famous experts: Saltanat Yermakhanova, Serik Kozhkenov. Website: http://cpass.kz. An expert club Zerde works at the center. The Institute of World Economy and Politics (IMEP) under the Foundation of the First President of the Republic of Kazakhstan was established in 2003. The activities of the IMEP are aimed at researching the problems of the world economy, international relations, geopolitics, security, integration and eurasism, as well as studying the activity of the first president of the Republic of Kazakhstan and his contribution to the creation and strengthening of Kazakhstan as an independent state, promoting international cooperation and promoting peace and stability. Director: Yerzhan Saltybaev. Website: http://iwep.kz. Famous experts working at the Institute: Ayman Zhusupova, Askar Nursha, Zhumabek Sarabekov. The Institute publishes “Kazakhstan in Global Processes” magazine, and also holds the Astana Club. Public Foundation "Center for Social and Political Research" Strategy"
The Public Foundation "Center for Social and Political Research" Strategy "is a research center specializing in sociological and marketing research and political and management consulting. Foundation is a member of “Eurasian Monitoring”. In addition to sociological, corporate and marketing research “Center for Social and Political Research” publishes a rating of the political elite of Kazakhstan. Director: candidate of sociological sciences Gulmira Ileuova. Website: http://ofstrategy.kz/. Famous experts working in the center: Olga Simakova. Center for Topical Studies "Alternative"
The Kazakhstan center of humanitarian and political trends was created with the purpose of activating the civil initiative, promoting the socio-political and socio-economic development of the Republic of Kazakhstan with the help of expert work in the political, economic and humanitarian fields. President of the Center: Doctor of Political Sciences Yesenzhol Aliyarov. Website: http://www.sarap.kz. It is an independent Kazakhstan consulting and analytical company. Center specializes in analytics and consulting in the following fields: financial sector, public administration, oil and gas industry, transport and logistics, social services. Website: http://csi.kz. Management: Olzhas Khudaibergenov and Darmen Sadvakasov. International Center of Kazakh-Chinese Cooperation "ChinaCenter"
The center was founded in 2016 by a group of Kazakhstan Sinologists. Center has partners, both in continental China, and in Hong Kong. General Director: PhD in Law, LLM of Chinese Law Adil Kaukenov. Website: http://zhongguo.kz. Bureau of Research of China "Fensy" and School of Chinese Language and Law “Laoshi” work at the center. Public Foundation "Center for Applied Research" Talap "
The Public Foundation "Center for Applied Research" Talap "was created to support the implementation of the Five Institutional Reforms of the President of the Republic of Kazakhstan, including those aimed at achieving high-quality economic growth based on industrialization and diversification of the economy, ensuring supremacy of law, forming a transparent and accountable state, identity, formation of a modern state apparatus. Website: http://talap.org (currently under reconstruction). Chairman of the Board: Rakhim Oshakbayev. The fund specializes in applied research in the field of economics and public administration. The company was created by a group of experienced Kazakh researchers and the well-known Turkish research company Bilesim International in February 1997. 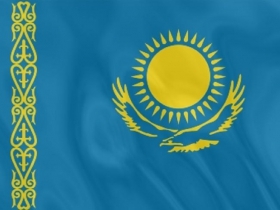 Until September 2001 it was called BILESIM International Kazakhstan and had the status of a joint enterprise. In September 2001, it moved to the status of a Kazakhstan enterprise and was named BISAM Central Asia. President of the company: Doctor of Historical Sciences Leonid Gurevich. Website: http://bisam.kz. The company is engaged in marketing, sociological, social and economic research. The Research Institute "Public Opinion" was established in 2013 by a group of sociologists with professional experience of work for more than 17 years. The Institute specializes in the study of public opinion, conducts marketing and sociological research, both in Kazakhstan and in other countries. Highly professional experts-sociologists of the Institute have experience in conducting research in Central Asia, Western Europe, Russia, China, Mongolia, Turkey, USA, Canada, etc. Director: Ainur Mazhitova. Website: http://www.opinions.kz. Famous experts working in the center: Botagoz Rakisheva, Aigul Sadvokasova, Svetlana Kozhirova. The analytical group KIPR is the successor of the Club of the Institute of Political Decisions (KIPR), which used to work from August 2009 to September 2013. The group's goal is to integrate intellectual capital of the country to develop practical solutions to current, problematic issues of Kazakhstan and international development. Director: Erlan Smailov. Website: http://agkipr.kz. Discussions are available in both video and analytical references with recommendations based on the discussion. Public Foundation "World of Eurasia"
A non-profitable non-governmental organization, established in January 2012 by a group of experienced Kazakhstan’s specialists in the field of political science, public and public management, history, journalism, social relations, marketing and public relations. Website: http://wef.kz/. The head of the foundation is Eduard Poletayev. Discussions focus mainly on Eurasian integration and the situation, both in Kazakhstan and in the post-Soviet countries. All the discussions are written down and published online on foundation’s website. The organization was established in May 2017. Honorary chairman of the association: the chairman of the Senate (upper house) of the parliament Kassym-Zhomart Tokayev. Chairman: Yerlan Karin. The Council was created to consolidate domestic experts in the field of international relations and to promote key initiatives of President Nursultan Nazarbayev, as well as to discuss and develop recommendations on the most important issues of the global agenda. The plans of the Council include conducting expert forums with the participation of foreign partners, establishing research grants and scholarships, as well as organizing a summer school for young experts. The Council's presidium included Foreign Minister Kayrat Abdrakhmanov, Chairman of the Mazhilis (Lower Chamber) Committee on Foreign Affairs, Defense and Security of the Parliament Maulen Ashimbayev, heads of leading domestic think tanks. The Council has already held one event - the Kazakh-Russian expert forum. How exactly an event went through you can see on the website of the Valdai Club. The Zerde Expert Club was established at the Center for Political Analysis and Strategic Studies of the Nur Otan Party in order to facilitate the creation and operation of an intellectual cluster around the party for strategic analysis and the development of strategic proposals in the field of economic policy. The results of the discussions are published on the center's website. In total, 8 state, 3 public and 8t private "think tanks" are mentioned in this article, as well as 6 discussion platforms. This list, in fact, is by no means the most complete because there are way more intellectual centers in Kazakhstan. But this number is enough to understand the real situation in Kazakhstan by the publications of those centers.